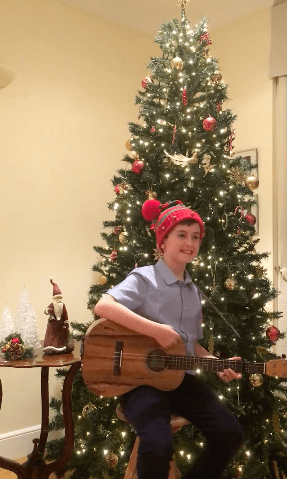 James O’Donnell, a pupil of George Heriot’s School, Edinburgh, completed his own Jingle for Joy Christmas Challenge in the run up to Christmas 2018. 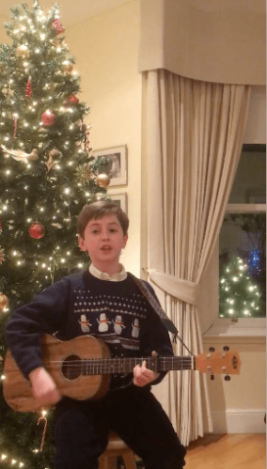 Performing and recording 12 brilliant renditions of well-loved Christmas songs, James raised £734 for Music in Hospitals & Care Scotland. He posted videos of his songs everyday in the 12 days leading up to Christmas and even managed to busk in the weekend before Christmas at Ocean Terminal Shopping Centre do the delight of passing shoppers. Well done and many thanks to James and his family and friends who supported him along the way.